Was wondering if I could get some feedback, ideas, and concerns around licensing. Know there’s lots of really awesome thinking already going on! My hope is to make variable fonts more accessible / intuitive for other web designers so people can take advantage of what they offer and make sure that translates to their design and users (by this I mean aesthetically / stylistically, functionally and performance wise). Also know lot of great type comes from smaller foundries / independent type designers so want to give people more paths to that. The current prototype in Typeshift uses a panel for when a font has more than one axis (right now it’s just switching between static fonts, but it’s enough to get the idea). It’s a designspace that works just like a color picker, and you can read my reasoning here. This would need to expand to any number of arbitrary variations, but trying to tackle things in small chunks at a time. Licensing wise, what sort of representation of variable fonts for web designers is the most advantageous to font designers? How does this interact with most EULAs? How would type designers feel about letting web designers preview the entirety of a font’s design space while then allowing people to pick what areas of that design space are finally licensed and downloaded / hosted? What about locking / unlocking axes? Know John mentioned something along these lines, but would offering discrete instances in a design space be more helpful by allowing type designers to still charge for each discrete font along an axis? Speaking as a business person for a moment, one of my problems is too many SKUs (distinct items for sale). One of the good things for both the vendor and the customer is that variable fonts simplify the purchase options dramatically. However, we will still have discrete static fonts for a long time, because the variable fonts versions won't work everywhere. But at least the variable fonts don't add too many more SKUs in addition to static font SKUs, if you have both. But if the variable fonts mean an explosion of purchasing complexities and SKUs, well, that will be complicated and hard on both the font vendors and their customers. Although it is technically possible to slice up a variable font and offer the same font with fewer axes, slicing up variable fonts as a regular part of business would make the retail aspects much more complicated instead of less, and be a step backwards, I think. I expect that the next few years, most fonts that are offered as variable fonts will also be offered as discrete individual fonts. I am hoping that those customers for whom neither a stock variable font nor some set of discrete fonts is useful... that they are a very small subset of all customers. If they are using web fonts, well, subsetting tools in the hands of my customers or on my web site are a perfectly good thing, but that doesn't mean I have to *sell* them something different, just that they are deploying less than the entire thing they paid for. That also potentially puts that complexity in the hands of some web tech geek instead of the web designer or the purchaser. That's the right place for it. Of course, each vendor can tackle it however they like. I believe those who keep it simple will fare better and be happier along the way, and their users will be less confused. You’re probably asking the wrong people. And it’s too early to ask. How display fonts are licensed will be determined by what the buyers decide that they like. That decision will be based on which vendors approach they prefer. Like web fonts, people will try many different approaches. We’ll have to wait and see what users prefer. And we may be surprised by their choice. Waiting to hear from customers isn't always the right approach. Sometimes you gotta show them what's possible, even if it means introducing a new breed of product that isn't an immediate success. It’s very cool that your UI can plot two axes against one another! If there are more than two axes in a font, can the UI mix any two? (How about a 3D palette that can mix any three? My feeling for this is that I would charge a fee per axis, with that fee depending on the complexity/difficulty in creating compatible masters. Certainly, Weight and Optical Size would be a useful combo. I would price those less than a comparable static font family, on the principle that there is less work involved in manufacture and quality control—perceived if not real. And because people expect new tech to do old tech stuff cheaper but not as well, at the beginning. Then the cheaper price tag kind of sticks. But where I would focus would be in exploring new design space, coming up with interesting axes that could be mixed, for instance a Rough/Clean outline axis matched with a Fine/Coarse texture axis. Just to see what kind of effects such an interaction would create, because this format, other than being a neat package, is all about playing with the slider. In this example, a bit like using photoshop filters. I would have to make one of these typefaces before deciding how much to charge for it. Would it be possible to add axes to a font as “plug-ins”? Nick, the idea of "in-app purchases" applied to fonts is interesting. While I like the idea of an interactive preview to test out the axes, the two dimensional picker is already on the limit of what users (even graphic designers) can comprehensively use. It's true that you can swap in different axes, but I imagine it quickly becomes unintuitive or mandating some getting used to. What I would personally like to see as the main purchasing guide is the extremes of any picked axes; like a dynamic, expanded Univers matrix of sorts, with all axes I've picked, maybe one or two instances towards the "center". Add to that maybe previews for some named instances for the more "hard to image" constellations. Users want options, yes, but users also need to be told should be advised what will look good, so they feel they are indeed gaining an advantage by using this arguably more complex technology. Paying based on axes seems fine to me, and at least web developers are very used to using parameterised solutions for custom downloads - in fact, presented with not just the monetary advantage but also even more optimised download sizes, I think many folks would appreciated that model. If, as Thomas pointed out, this would increase complexity for the average user, present the option for more tailored packages as an opt-in, with the default being a font with all available axes. ... it’s too early to ask. this is the second time in a couple of months I've agreed wholeheartedly with Puckett. I might need to adjust my medication. I stopped, for the moment, trying to make sense of Variable Fonts. No point. When it's time for a close look, there will be clear signs. Fun for the moment, though. What do you mean "make sense of"? What confuses you? I don't know why there is "no point" for you, but for many folks on this forum, the more lead time we have on a new technology, the better. Even if that tech isn't directly very usable yet. Example: For type designers, it gives them an extra reason to consider axis-based approaches to design, because of the potential to later create variable fonts. Really awesome thoughts, thanks all! James / Richard: That’s totally fair. I think we have a cool opportunity to experiment and find what works and what doesn’t – even if it’s not widely supported / available yet like Stephen mentioned. A think a large part of this is figuring out what the best way to communicate with potential buyers is. Who knows what that looks like exactly, but that’s what makes it exciting! Thomas: That’s really well put. Can see how it’s ideally not worth the time to fragment a variable font in most cases unless it’s a single static font. Could maybe see purchases per-axis? Nick / Marc: Hmm – enabling additional axes is definitely interesting – get the base font, but if you want more controls for a given direction (width, weight, optical, etc) you’d pay to add those axes. 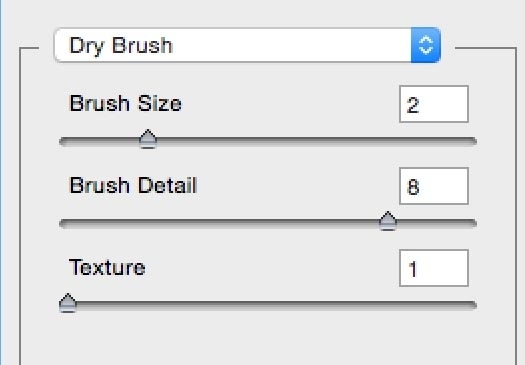 Really like that photoshop filter idea – the dropdown could function as a grouping of axes by use case / things that combine well with each other. Johannes: Yeah, great point with the Univers-like matrix, that could go a long way in helping people understand things with a (multi-dimensional?) birds eye view of the design space. I do think web developers are savvy to that sort of thing, maybe all designers need is a wide open space to play with which then gets condensed down to what’s necessary for web development? Some people mentioned how this might work with 2+ axes. Here’s Adam Twardoch’s Noto Serif GX with an optical axis – where the primary variations (weight and width) use the coordinate selector and secondary ones use sliders. This brings up some interesting points around order / grouping / categorization of axes for designers. I was a heavy user of a few of Adobe’s Multiple Master fonts (Minion, Myriad, and Penumbra especially) back in the 1990s. I worked in Quark XPress then, for which there was a plug-in. Contrary to many reports I heard, I never had much trouble with crashes or working with imagesetters. The interface was pretty much as Nick Shin describes above, a set of sliders with which one controlled the axes. (It allowed you to type in numbers, too.) What was cumbersome, though, was the naming convention for the resulting fonts. One got to see a mini-rendering of the font in advance, but it was next to useless, as the screen rendering of the day was quite primitive. You used your best judgment about the parameters you were looking for, generated a font, and tested it. Using Multiple Masters for print, which was its intention, involved a good bit of trial and error so that, in the end, one had to remove many test iterations from the font folder so as not to become confused by the font menu, in which only part of the long name was visible, often the part that didn't tell you what you needed to know. If, back then, one had to buy each font, iteration by iteration, no one would have done it. You bought a license for the whole thing and decided what to use and how to use it as you saw fit. Even though it will be easier today to see each iteration on the screen, in advance of purchase, the idea of buying the fonts by the iteration is a non-starter, I think. OTVar's usefulness will become obvious only when you see the font iteration in the context of your designed piece. You should be able to buy an OTVar font as an entire toolkit, not just a blade here and a handle there. It’s not hard to imagine that anyone who tries to sell the iterations one by one will, before long, be undercut by someone who selling the whole thing as a unit. If Multiple Master was so great, why did they abandon the program? The startup costs were very high, of course, and in the end, the number of people who understood what it did and had the patience and desire to use it was very small. I’m not sure that the story of OTVar will be much different, though I’d like to be wrong about that. An entire universe of uses has been added since the days of MM. By the way, looking at the Adobe MM slider interface is probably a good place to start. I can’t get my hands on an image of it, but I bet someone at Adobe can. Adobe abandoned MM because of a tough decision that: (1) trying to evangelize OpenType as a new format would be harder if one had to sell MM as part of the package; (2) Adobe's OpenType partner Microsoft didn't much care about axis-based fonts at the time and had no interest in supporting them. All this at the same time Adobe was trying to get out of system add-ons for font support (Adobe Type Manager). there will be more VF families, produced by more different vendors and type designers (MM had 48 released families, from the Wikipedia page). Thomas: Nice predictions for 2017! Most of those are fairly safe predictions. Having more than two supporting type design apps might be a stretch, though. I imagine “more than 48 families” sounds like a stretch as well. But there are just a couple of sources that I imagine will push us over the 48 by the end of 2017.